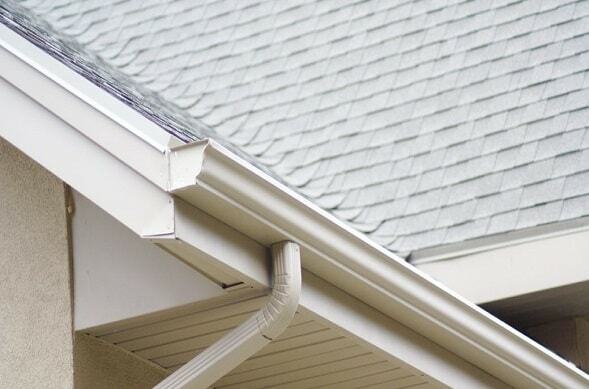 One of the biggest issues that can arise from neglecting your home’s gutters and downpipes is the risk of roof damage. Water that’s been collected in one place starts to leak, to spread. While not all materials are at the same risk of water damage, its best not to let that sort of thing linger. Spotless Gutter Cleaning Perth advises regular cleanings of the gutters and pipes, to make sure that the damage doesn’t, say, spread to the roof. When water damage from a block gets to the ceiling, it’s only a matter of time before it manages to spread to the rest of the house. Rooftop mortar can bind the tiles or other parts together, but water can wear them away. A blocked gutter can easily trigger the onset of damage like this. If this is left to linger, you could start losing tiles or having the water begin leaking down through your ceiling or walls. In a harsh climate – or just a very active rainy season – this can become a huge problem for homeowners. Protecting your roofing from the weather is essential in an unforgiving climate. Spotless Gutter Cleaning Perth understands this, so we happily provide damage analysis and assessment services for both commercial and residential customers. At Spotless Gutter Cleaning Perth, you can count on us to come in and clean your gutters. We’ll even take care of minor damage because that’s what a good gutter cleaning Perth Company does. What you might not know is that we also offer an assessment of harm done to the roof. A lot of the time, people only call gutter cleaning companies once they realize that the damage is starting to spread. We’ve made it a part of our professional service package to examine the situation and give you a report on where the damage has spread and how much has been done. We’ll also give you an estimate on how much it might cost to fix it. We clean gutters, bag and remove garbage, and check for damage. We work on both commercial and residential properties, treating them as equally important. Our goal is to give you a service that’s good value and comprehensive. Expertise from experience and training is part of the deal, and we’ll bring any equipment we need with us. You don’t have to worry about anything except telling us where you need us. No other company offers the same bang for your buck, so schedule an appointment or get a quote from Spotless Gutter Cleaning Perth!